TargetGirl is my place to be me. Outside in the 'real' world I can find myself hiding behind a mask at times and not many people know what is under that mask. Sometimes I don't know myself. This is my place to pull down the mask and rip it into little tiny pieces. As for me, I am also TargetGirl. And the name basically has the same explanation as the one above. I am a bookworm, aspiring photographer and designer as well as being a 12 year old girl. I started this blog in August 2016 meaning for it to be a diary for me but I was still hiding behind my mask. I am a chocolate obbessor who is for someone reason torturing herself and going sugar-free but at least dark chocolate and Stevia exists right? I basically post about most things under the sun but if you want to see more of a type of post drop me a comment and I'll see what I can do. Hope to see you around in the blogging community and leave your link below! Aww thanks! I will check out your blog right now and most definitely enjoy reading it! Such a short & sweet about me page! Wow, you like brackets? That's cool...I guess! Nice blog! 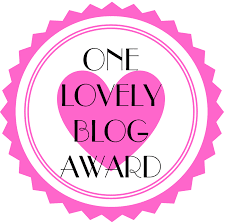 Thank you for both comments, About my weird love and my blog! Awesome, I use brackets a lot...so useful in everyday writing! I'm a chocaholic too, mainly for white chocolate! What about you?